Argonaut Great Central Insurance Company is a business insurance provider based in Peoria, Illinois. It operates as a subsidiary of global insurance giant Argonaut group, based in Bermuda. From all indications, it appears that Argonaut Great Central a regional office providing products and service on behalf of Argonaut Group. They do not maintain their own website, nor do they sell insurance independently. Begin your search for affordable health insurance by entering your zip code now for a free quote! 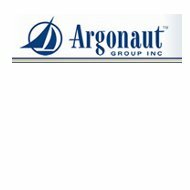 Argonaut Group is a global insurance company specializing in reinsurance and specialty products for businesses. Some of the policies they write include commercial and international specialty, excess and surplus coverage, and workers compensation. After a thorough investigation of their individual product lines, it seems as though this company does not offer health insurance. If they do, it will not be an individual, one-on-one basis; rather, it would be offered to an employer as a benefit to that company’s employees. Like any insurance company, Argonaut Great Central stresses the importance of making claims in a timely manner. The more quickly claims are filed, the more quickly an investigation can ensue and prompt payment made. Their company website devotes a great deal of time to their claims procedures, but particularly those relating to workers compensation. Workers compensation is a difficult insurance to navigate in the United States and Argonaut Group tries to make it as easy as possible. Their corporate website does provide instructions on how to file claims for various lines of insurance. Where workers compensation is concerned, they even provide the needed forms for download. They also list a toll-free telephone number you can call within the United States to speak to representative over the phone. If you are a direct customer of Argonaut Great Central, you should be able to contact one of their Illinois offices for help filing a claim. The Argonaut Group website lists Argonaut Great Central as one of their U.S. offices dealing in retail insurance. This would seem to indicate that they are not providing the reinsurance services that their parent company does. At the retail level, they would be looking to sell the specialty products aimed at individual businesses. Examples of those products would include things like business coverage for convenience stores and dry cleaners, larger policies for retail shopping centers, and even liability policies for self-storage centers. One of the unique aspects of this company is that they have the ability to meet specialized needs of individual customers. Rather than offering a one-size-fits-all retail policy, Argonaut Great Central and the Argonaut Group look at an individual customer’s specific needs before writing a policy. They consider things unique to those individual industries, their customers, their products and services, and anything else needed to write a perfectly tailored policy. The latest financial ratings from A.M. Best have Argonaut Group and most of its subsidiaries rated an “A” for current financial stability. There are a handful of inactive subsidiaries that received “B” and “B+” ratings. Argonaut Group companies were also given a stable outlook for future growth and profitability. A.M. Best reaffirmed these ratings in early June, 21. These ratings indicate that Argonaut Group and its subsidiaries are on firm financial footing and are well prepared for the future. The most recent financial filings For Argonaut Great Central Insurance Company show the company with total assets of $141.8 million, $74.9 million of policy surplus, and working capital of $4.3 million. It is unclear whether these numbers pertain only to Argonaut Great Central or to all of Argonaut Group’s U.S. retail operations. If you are in the market for health insurance, you can search for the best health insurance rates by entering your zip code below.